We've been out for a couple of days now. What's the response been like? Way better than we could have hoped for! We set out to make something that would be uplifting to play, that would make people smiling and happy. Did we achieve that? Here are some comments from players - judge for yourself! I forgot I had a body. POLYBIUS! I can't believe a game can make me feel such joy. Thank you @llamasoft_ox for an incredible experience! Polybius is easily one of the best immersive PSVR showcases, alongside Rez Infinite, Thumper and SuperHyperCube - amazing work. @llamasoft_ox what have you done to my brain? @llamasoft_ox thx for providing such a wonderful VR gaming xperience. Most immersive, fun and addictive #psvr game so far! Oh My God. Polybius is the best PSVR game by a mile. If you have a PSVR, you *need* this game. Get #Polybius by @llamasoft_ox for PSVR. It's gorgeous, mind warping and extremely fun. Very inspirational as well! Halted my POLYBIUS time until tomorrow but let the eldest have a go before bed and as I was making a brew, all I could hear was laughter. So far Polybius by @llamasoft_ox is incredible and doesn't want to let me go.. love it! Well #Polybius is ridiculous. When you are really going + the screen is pulsing, colours separating — I think I taste colour. #Polybius is ridiculous fun @llamasoft_ox has absolutely nailed it! 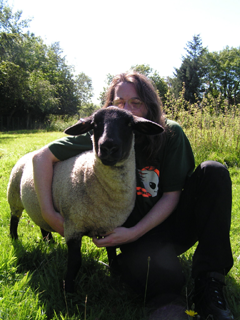 @llamasoft_ox Dude, you *so* nailed it. Relaxed into the game tonight and did so much better. All the things you spoke about - delivered. @llamasoft_ox New Jeff game... Download NOW and... 4K 60fps = amazing! Plug in PSVR... I HAVE NO WORDS!!! 30 years I been waiting for this! congrats to @llamasoft_ox it's finally out everyone go buy it your life will never be the same again. thank you llamasoft!! Best VR game I've ever played! No motion sickness (finally), super fast, just amazing. me and kids love playing it! We are all crowded round the console desperate for our next turn! Found myself not breathing through at least one level of Polybius, so if I die it's @llamasoft_ox 's fault. OMG. I played Polybius last night and it gave me at least four spine tingling head buzzing goosebump full body rushes. This game truly gives me some of the same feelings I've had tripping on psychedelics. It cracks open potential for VR technology I never even knew existed. You don't need drugs. You need Polybius. This is intense, this is insane. I'm smiling from ear to ear. I have to say, I have never had a game make me fall so much in love with a genre that I previously hated. So, uh, yeah! We're totally surprised and happy! Really pleased to see people enjoying it so much! The legend becomes reality. Polybius is the new Llamasoft PS4 game! Llamasoft's new creation for PSVR (fully playable on non-PSVR PS4 systems too) is a re-interpretation of the legendary psychoactive arcade game Polybius. After an encounter with the real thing (check out the story of a mysterious Basingstoke trip, some of which may or may not be true), and given the availability of current state of the art VR technology we decided it was finally time to re-create this game .. with all the good, minus the bad. We're not out to brainwash you. But we do want to give you something that makes you feel good when you play, that takes you quickly and efficiently to "the zone" where everything flows and you feel uplifted and exhilarated. For more details about the game, click here.. Or check it out for yourself - it'll be available on the PS store on the 9th May (US) and 10 May (EU). In this video I'll talk you through the game's first seven levels, explaining how things work. Here are some quick screenshots, click on them to learn more about the game. From our talented musicians you can now download and buy the original soundtrack HERE ! 34 tracks including a special MIX of over 1 hour of fantastic music ! Really you CAN NOT miss this ! We are very grateful to all the talented composers that been with us on this project and that allowed us to create such a wonderful game. We remind you also that you can always purchase the soundtrack here. 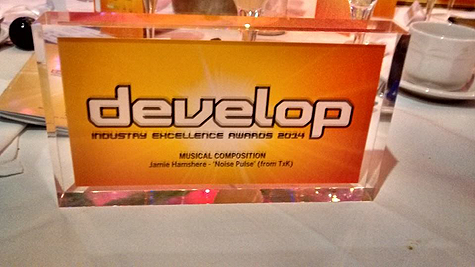 TxK wins a postumous ZZAP Gold Medal ! It's true! Gary Penn, Julian Rignall and Gary Liddon decided to give TxK a ZZAP! Gold Medal from beyond the grave! Get the orignal soundtrack here! The NEW release for PSVita is HERE ! The long awaited new Llamasoft game for PSVita is finally arrived, finally available for digital download on the PSN store. Glowing vectors, explosive particle effects and a pulse-pounding soundtrack are core elements of many modern arcade shooters - a style that Llamasoft defined with its seminal 90s tube shooter. 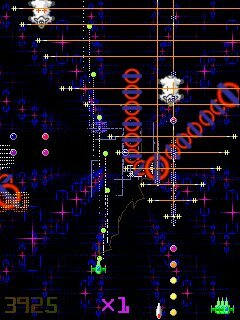 TxK is the spiritual successor to that genre-defining work and brings you 100 levels of engrossing score-chasing gameplay married to an outstanding soundtrack that will have your head nodding as you blast your way onto the scoreboards. Check out TxK details here. 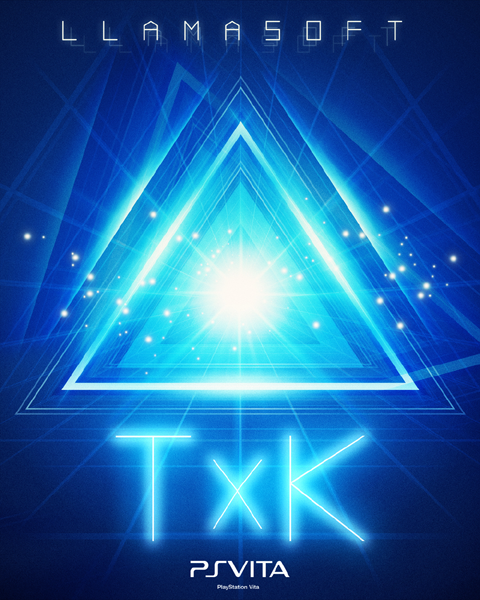 TxK is now content and feature complete and we are on course to submit it to QA very soon. Expect more videos and details of the final game in the coming weeks as we move towards release. 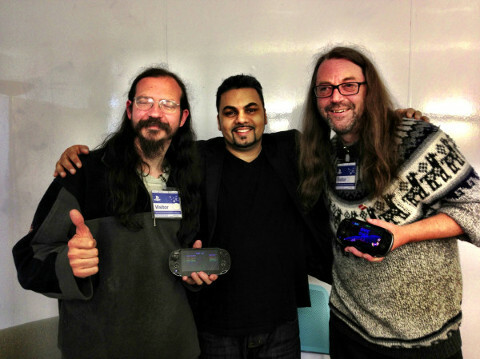 Friday 28th we have been at Sony headquarters in London where we presented the "First Playable" and we received very positive feedback and appreciation. According to Spencer Low "One of the best First Playable I have seen in the last 10 years." So the second project milestone been passed with flying colours and everything is full steam ahead now looking forward to Alpha submission. We spent a really lovely afternoon at Sony and a wonderful evening with some of the guys at the best hamburger place in London. See more details at the developer's blog entry. "19 years ago saw the release of one of the best games Llamasoft ever made, a game which came to be recognised as one of the best games on an entire system - Tempest 2000 on the Atari Jaguar. 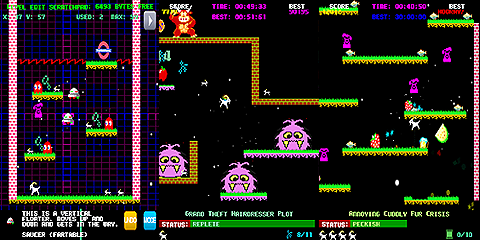 I've often thought that one day I would like to revisit that game and do some kind of an updated version on modern hardware"
"This is a great evolution of the original Goatup jumper into a platformer game. As usual for Llamasoft, everything is amazing, from the retro sounds and visuals to the tight controls and gameplay." And all the other games too ! Keep me posted about new games ! 30 years of making games we love to play and people like to play. 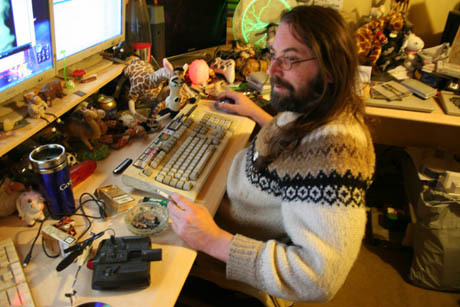 Join us now and share the experience of what makes Llamasoft games a kind of its own and what we are.
" The first step is making a nice game is make a game you love to play ... "
Llamasoft games been around since 1984, they evolved and are always evolving around the new technologies and medias available always retaining the original vision of games that are fun to play. Gameplay mechanics, humour, rewarding game experience, right feeling of the controls and a bit of a twisted vision is what you'll find into our games. During all this years a lot of people have played Llamasoft games some of which been considered to be some classics, like Tempest 2000 or Attack of the Mutant Camels to quote some of the most well known. All those people that liked our work are still following us today. 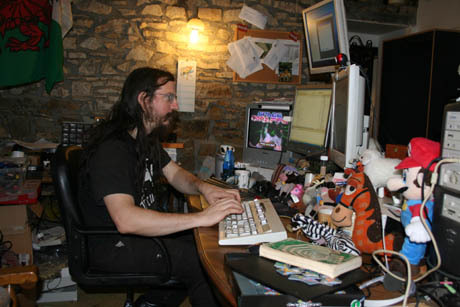 These people are not just players, they are the people that followed Llamasoft during the development of the games, that seen the life of the games, that voiced their ideas and opinions on what we were doing, that lived together with us what been going on in all those years. Some people say our games are not "mainstream" because they are different. Yes, they are different but not everyone is the same in this world, we are what we are. So why don't you take a closer look at what this "different" is and make your own mind ? It won't hurt you ;) You may find out why some people are still with us since 30 years. We thank you again for looking around and supporting us.